Do you wish you were better at marketing Focusing? Attracting people to your courses? Communicating Focusing to new clients? Would you like to feel confident that your Focusing message is reaching people and making their eyes light up? Would you enjoy having a thriving one-to-one practice as a Focusing guide with as many clients as you want? Do you want every detail of how I’ve designed my courses, with all the course material, so you can pick and choose what you need for your own style and audience? The Focusing Teacher’s Manual comes in an attractive 3-ring binder with colored section dividers and supporting CDs pre-inserted in binder pages. Let me help and support you. I’ve done thousands of first Focusing sessions, and I’ve worked to articulate the subtle art of showing someone Focusing by guiding them through it. I have all the one-to-one clients I want, both first time and ongoing. It’s such a pleasure to work with people and see their empowerment in Focusing grow. 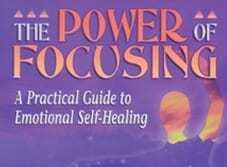 It’s clear to me that “Focusing Guide” is a profession in itself; not therapy, not coaching. I’ve also taught hundreds of Focusing courses all over the world, and I make my full time living from Focusing teaching. Let me share with you what I’ve learned about guiding new people, guiding ongoing sessions, and the clarity about what we are doing in one-to-one Focusing sessions as a profession in itself. And let me share with you the ‘secrets’ of marketing and teaching Focusing and creating as much Focusing teaching as you want in your life. I look forward to helping you to spread Focusing further in the world! Would you like to earn more money offering Focusing sessions one-to-one? Would you like to establish or extend a practice as a Focusing professional? Are you unclear about the difference between a professional guided Focusing session vs. therapy or Focusing partnership? Do you want to feel confident that you can guide someone through Focusing the very first time and do a professional job of it? And do you want to feel confident in offering something of value – and not therapy or coaching – as you offer ongoing Focusing sessions after the first one? How do you position yourself as a Focusing guide? How is that different from being a therapist or a coach who uses Focusing? What is your “contract” with your clients – what can they expect and what do you offer? How would you present this, even before someone comes in for a first session? Time considerations, why you could continue to work with someone without doing therapy. How this is different from teaching Path to Lasting Change, Part One as a tutorial. Pricing your sessions, offering “packages” of three or six sessions. Talking about money to clients. Your own issues about money. What to say before someone’s first session to set up the best conditions for their having their best possible Focusing experience. Boundary issues: How to recognize and respond to people who are trying to use Focusing sessions to meet other needs. How to tell when someone has a process that isn’t appropriate for our type of work; how to refer to a therapist. Special considerations for guiding someone’s first session of Focusing. How we work differently when someone doesn’t know Focusing already. Differences in: how to use reflection, emphasis on getting a felt sense, re-phrasing what they don’t understand, helping with blocks. Do you want to teach Focusing more…or get started teaching Focusing? Are you unsure how to create Focusing courses that turn beginners into confident Focusers? Would you like to feel comfortable about sitting in a group and finding the balance between planning and Presence? Do you want a whole toolkit of proven exercises that you can draw on for different levels of Focusing, different sizes of group, different types of people? A walkthrough of how I teach Levels One, Two, Three and Four, with themes, guided exercises, demonstrations, paired exercises, and reading assignments for each week – a total of 20 weeks of course material. The actual cards I give to the participants for the paired exercises, and how to adapt the exercises for different circumstances. The Six Overall Principles of Focusing Teaching (and the Four No-No’s) – and why they make all the difference. How to use your felt sense of the group to create group safety and a sense of group support. How to teach listening using your own Focusing ability and how to teach so that people are already getting into partnerships after only one course. How to adapt and change any other teacher’s methods – including mine – so that they fit your style and temperament. How to use the Focusing Student’s and Companion’s Manual and still teach the course your own way. Tips for working with larger groups – from 13 to 120 people. Tips for working with smaller groups – 1 to 4 people. Weekly classes vs. weekends vs. other formats. Why I recommend calling it “Path to Lasting Change, Part One” even if it’s the only course you’re teaching. A special way of scheduling classes when you’re just starting out. How you can support the creation of ongoing Focusing community – Changes groups – and Focusing partnerships. 89 pages of in-depth information specifically written for this manual. 3 audio CDs with excerpts from Levels 1, 2, and 3 classes. Do you want more Focusing income? Are you unsure how to get started with teaching Focusing classes–or are your current classes not working as well as you’d like? Would you like to feel confident about having a one-to-one practice as a Focusing guide–with as many clients as you want? Do you want a way of talking about Focusing that makes people’s eyes light up and say, “That’s for me!”? A way of seeing marketing, not as “sales,” but as communication, as empathy for your potential clients, and even as the first stage of your Focusing teaching mission. The surprising reason why you do NOT want to start by telling people what Focusing is… and what to say instead. Way to get clear about who you want to reach out to and how your work will help them, and how to say that clearly and attractively – getting lots of feedback from the other participants. Why you might NOT want to name your courses “Focusing” and what to name them instead. How to write ads, brochures, and web pages that stimulate people to call you and sign up with you… and which one of the three is the best place for your marketing funds. Giving talks to reach people, how to set them up, what to call them, what to say, and how to follow up afterwards. Introductory days? Free phone seminars? How to make them effective for your goals. How to use email as a low cost way to stay in touch with people who might want to work with you sometime. How to make all this work for the special circumstances of your country, culture, professional situation.